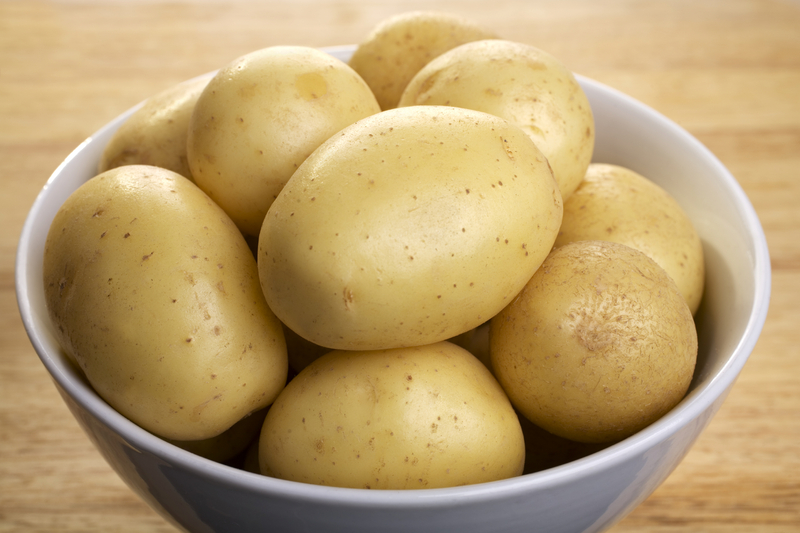 Should women avoid potatoes before pregnancy? Should women planning a pregnancy lay off the french fries and mashed potatoes? Some researchers suggest that may be a good idea, since a new study finds that women who eat more potatoes before conceiving may face a higher risk of developing gestational diabetes while pregnant. Gestational diabetes - a form of diabetes that develops during pregnancy - can affect the health of both an expecting mom and her baby. For the study, researchers from the National Institutes of Health's Eunice Kennedy Shriver National Institute of Child Health and Human Development and Harvard University analyzed data from more than 15,000 women taking part in the Nurses' Health Study II from 1991 to 2001. The scientists tracked consumption of potatoes and other foods every four years. They also tracked pregnancies. Over the ten-year period, out of 21,693 pregnancies, there were 854 cases of gestational diabetes. The women had not had diabetes or other chronic illnesses before becoming pregnant. "We found that a diet with a higher level of potato consumption before pregnancy was related to a greater risk of developing diabetes during pregnancy," said study author Dr. Cuilin Zhang, senior investigator in the Epidemiology Branch of the Division of Intramural Population Health Research at NIH's Eunice Kennedy Shriver National Institute of Child Health and Human Development. It's estimated that about four to eight percent of pregnancies are affected by gestational diabetes, said Zhang. Previous studies have linked foods with a high glycemic index, a measure of the impact on blood sugar levels, to a higher risk of gestational diabetes and type 2 diabetes. "Potatoes elevate blood sugar in people more than just about any other type of food," Dr. Aldo Palmieri of UCLA Santa Monica Hospital told CBS News. "They are carbohydrates, and all carbohydrates have that potential." He said the study reinforces the importance of moderation in what we eat. "Our next question was, 'What are we going to recommend women to eat instead?' which is why we did the substitution," Zhang said. The authors also found that when two servings per week of potatoes were dropped in favor of other vegetables, legumes, or whole grain foods, women had a nine to 12 percent lower risk of developing diabetes during pregnancy. Zhang recommended swapping in green leafy vegetables for potatoes. "They have less starch, less carbohydrate, but are high in fiber and vitamins and minerals. And the same for whole grains. They are lower on the glycemic index and have higher levels of healthful nutrients and minerals and micronutrients," she told CBS News. Dr. Minisha Sood, director of inpatient diabetes at Lenox Hill Hospital in New York City, said the findings did not surprise her. She found the study's approach of looking at one high-glycemic food interesting. "And then when they showed the substitutions, that's essentially advocating for the Mediterranean-type diet, which we know has benefits in terms of weight loss and insulin resistance," Sood told CBS News. When it comes to finding alternatives for potatoes on your dinner plate, Sood said mashed cauliflower can be a satisfying substitute for mashed potatoes and it's low on the glycemic index. "It's a vegetable. It's a great substitution. You can almost handle it and mash it the same way, with a little butter and salt, and get the same idea. It's a little closer to potato than kale would be," Sood said. People craving potato chips can look for healthier versions, such as quinoa chips and lentil chips, which may have a little more fiber and be lower on the glycemic index compared to regular chips, said Sood. They tend to be baked, so they will also have less fat. Women looking to become pregnant or who are already pregnant don't need to chop potatoes off of the menu altogether, but no more than one serving a week is best, Zhang said. "A potato does contain healthful nutrients. Vitamin C and potassium and a small amount of dietary fiber. But it's all about the dose. I think moderate consumption is still fine but not too high," she said. "From our data, we show if they consume one serving per week then they're still okay, but if they consume two or more servings, there's an increased risk for gestational diabetes." The study's limitations included lack of diversity - 90 percent of the participants were white and a generally healthy population of nurses, said Zhang. Also, diet details and diabetes diagnosis were self-reported, and the severity of diabetes was unknown. The authors also noted that the research was not designed to prove cause and effect, and their results don't prove that potato consumption directly leads to gestational diabetes. More research on the subject is needed. Zhang suspects a larger, more general study population would show more risk. She said, "Women need to know, not all vegetables are 'healthy.'"